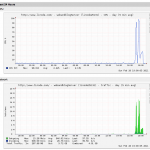 Thanks to the opportunity given to me by guys from LoadImpact.COM i recently tested my Linode 512 MB VPS with advanced load levels, simulating well-almost a “slashdot effect”. And while my WordPress blog was able to withstand a maximum load of 250 simultaneous users (that’s what these guys use as a measure of load simulation) for one of my client’s Drupal installation numbers were not really that good. Take a look at graphs with comments after the break. The other day i had a discussion with someone about how fast Java-powered website are, because the code is compiled and serving a page takes a breeze. The point of discussion was me writing code using php, which is a scripting language and compiles code on-the-fly every time you make a request to the website. So i decided to take a little experiment involving current LEMP (php-fpm/mySQL Linode VPS host) setup for the client’s WordPress blog and add eAccelerator to it. Say you host a website where you have workshops in PDF and would like to get statistics on how many people download them, but due to the setup of your CMS (in my case Drupal) and links being already on the website it is almost impossible. 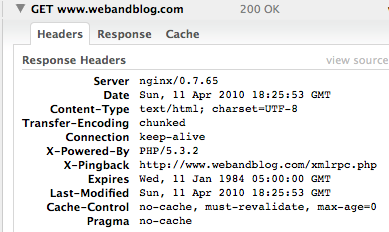 Luckily, those of you who use Nginx as their web server can configure it to log only certain file types being downloaded. Just a post ago i was wondering about testing my website’s performance under heavy load and did this using online tool from LoadImpact. However, the limitation of the free service at LoadImpact.COM is that you can only run a certain amount of tests per specific website a day. Thus i got a thought about good desktop tool, which would allow me for unlimited use. My Twitter friend @portertech suggested on looking at Apache’s JMeter. Sure enough, the tool is complex and Apache’s website is full of “non-human” language describing it. Sean had also suggested on visiting FossCasts.COM to learn about the basic use of JMeter – and again thanks to him for that. Now i can run as many tests a day as i want. And FossCasts.COM – definitely worth adding to your favorites.